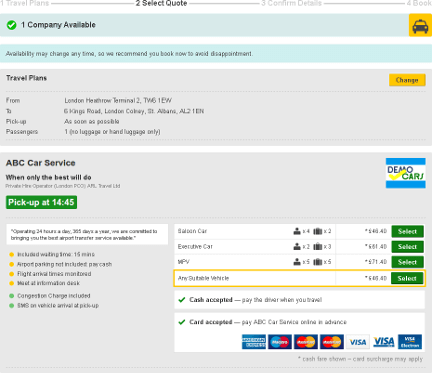 Whether you're on your computer, tablet or phone, Cabubble makes it easy to find a taxi quote and book online. Enter where you want to travel, passenger and luggage requirements and when you want to be picked up. If you're having trouble locating an address, try starting your search with the postcode or street name, before entering the building number or name. 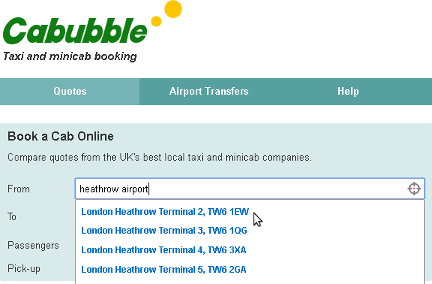 Cabubble offers fares from hundreds of local taxi and minicab companies across the UK. 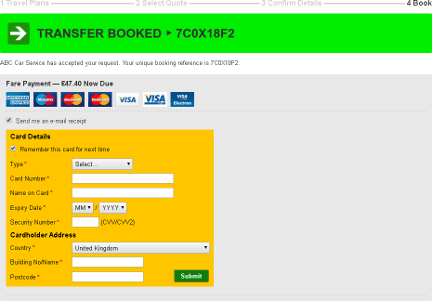 Depending on availability, you can choose a cash fare and pay when you travel or pay by card online in advance. 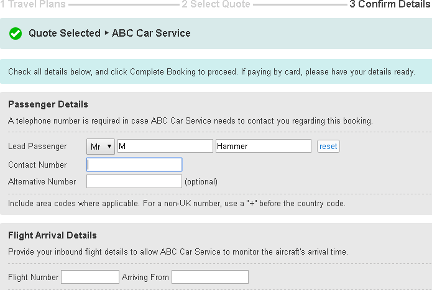 Add your contact details so your chosen taxi or minicab company can reach you if they need to discuss your booking. Your cab is booked! Full travel itinerary details are available in your account and your confirmation e-mail. If you've chosen a card fare, enter your card details now. Payment is made direct to your chosen cab firm.